Something great will happen in a couple of months. Something I honestly didn’t think I’d ever see. The first volume of my medieval trilogy will be published by Bellastoria Press! That is big news for me. This is a project I’ve worked on (with breaks) for thirteen years. I resigned myself to the fact that it simply wasn’t commercial enough to attract a publisher in this tough publishing climate. I’ve researched self-publishing and hybrid publishing and pretty much thrown my hands up in despair. Not because I couldn’t do it, but because to do it properly required an investment I simply couldn’t afford. I didn’t want to just publish an e-book, which would be pretty straightforward. I wanted to be able to hold the book in my hands. So what changed? I took control of my own publishing destiny. It’s a really tough world out there. Every day, fabulous books are being published by major publishers, but it’s harder and harder for them and for writers to make any money at it—let alone enough to live on. This circumstance means that even established authors who have readers can have a hard time getting published, unless they’ve got a track record of substantial sales. Publishing is a business, after all. But I took a long look at what I want out of my writing, and it’s simply this (as anyone who’s been reading my posts would know): I want to write the best books I can write, and I want those books out there so that people can read them. I decided I get to choose what the parameters are, what I’m willing to do or not, and how. This big news is scary. My writing hasn’t been out there for public consumption and criticism for seven years. I believe in my books, but not having that “big publisher” validation makes me doubt everything. What if people hate it? What if no one buys it? It’s a risk I have to take. I’ll do the right things to make sure it’s a good quality book (professional proofreading and copyediting, a great cover design etc.). And I’ll use my own resources to spread the word as much as I can. After that, we’ll see. I’ll take you on this journey with me, if you’re interested. I’ve never done anything quite like this before. I have a small publisher behind me, but I’ll be doing most of the work myself. I’m so fortunate that a good friend volunteered to design an amazing cover for me (don’t you love it?) and that I have the skills to lay out a book in InDesign. My publisher would have done that, but it would have taken weeks, so I’m ahead of the game. So far, I’ve signed the contract and am waiting to get my manuscript back from the publisher, who may have some edits or suggestions for me. Once I fix it up, I’ll print out a fresh copy and give it to the proofreader, copyeditor. That’s the best part of working with a publisher, something I’ve missed: a feeling that you have a team on your side. In the meantime, I’m building a Web site just for the trilogy. I’d direct you there to sign up for my newsletter, but the form isn’t working yet. That’s coming soon! Previous: Happy New Year to All! Next:So, how’s it going with the publishing? I have enjoyed reading your books so far. Even though I bought the mozart conspiracy on my kindle ereader it is no longer available to read as an e- book. So I am glad you have something new coming out and are figuring out what will work to get your works published. Thank you Kimberly! 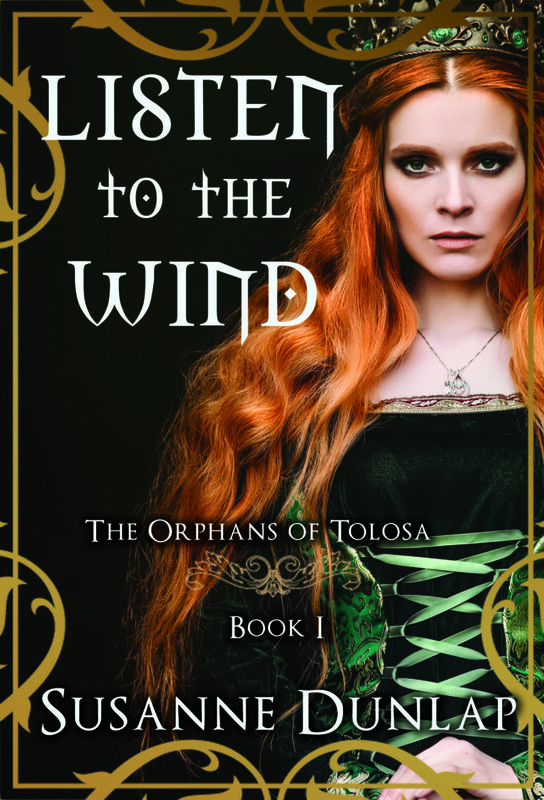 If you want to hop over to https://orphansoftolosa.com, you can sign up for the email list and you’ll get an announcement when the book is published. I’m planning to re-edit the Mozart Conspiracy at some point and reissue it, possibly with a few other books I’ve written.